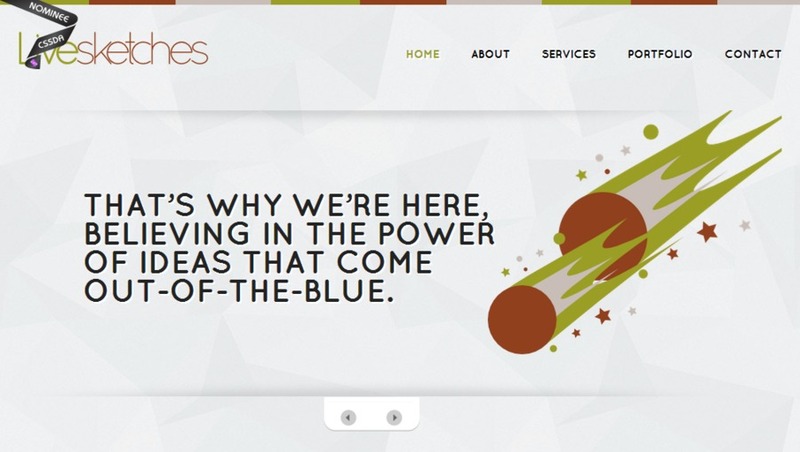 Livesketches provides web development and marketing solutions that will establish the perfect niche for your business. We have diverse offerings including web design, web development, CMS, internet marketing, iphone app development, android app development, content writing, etc. Our team is highly proficient in technologies like HTML 5, responsive designs, PHP, ASP.NET, Flash, Multimedia Programming, Wordpress, Magento, iOS, Android, and many more. Contact us now and ensure that you are standing out online. This is the screenshot of the home page of our latest website.